Common areas and event venues attract a lot of people, and that means a lot of foot traffic. Outdoor flooring has to be tough and durable. Natural grass is preferable to hard surfaces because it’s cooler and more welcoming, but it is difficult and costly to maintain. With Denver Artificial Grass Pros, you get all the benefits of real grass without any of the downsides. All across the board, artificial grass is the best choice. 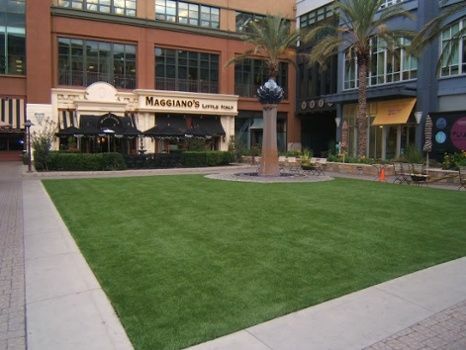 At Denver Artificial Grass Pros, we install only the best products, with warranties that range from 8 to 15 years. It looks lush and green year round with little maintenance, it’s soft to the touch and has extra cushioning, so it’s more comfortable to play or sit on than real grass. WHY CHOOSE DENVER ARTIFICIAL GRASS PROS?